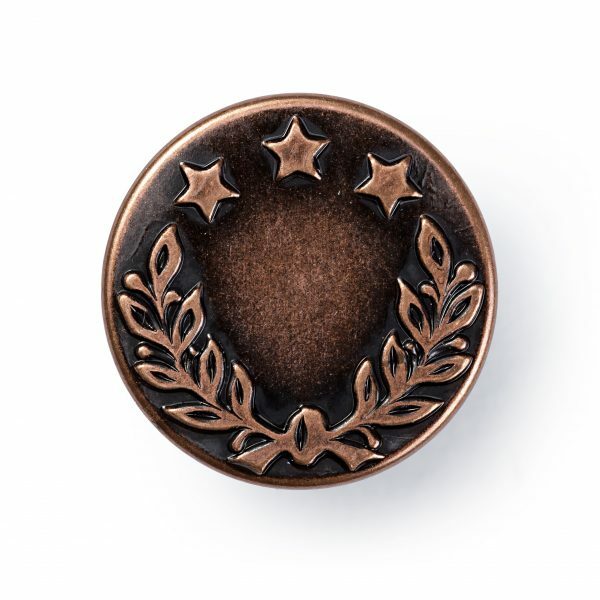 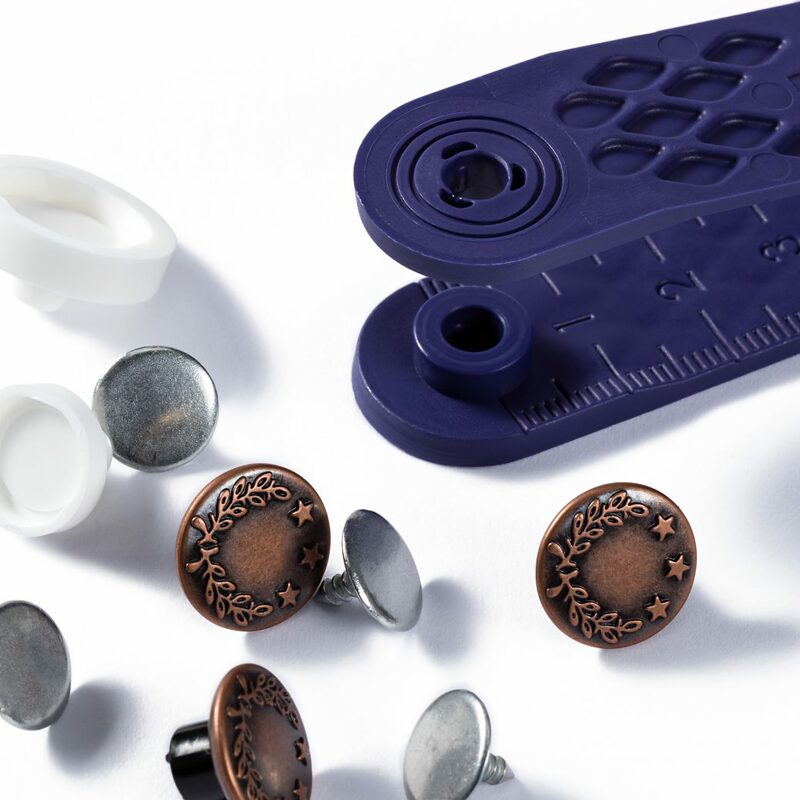 Prym 14mm no-sew buttons for jeans with an antique copper finish stars and wreath design. 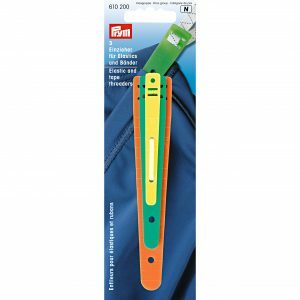 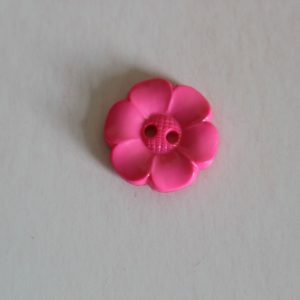 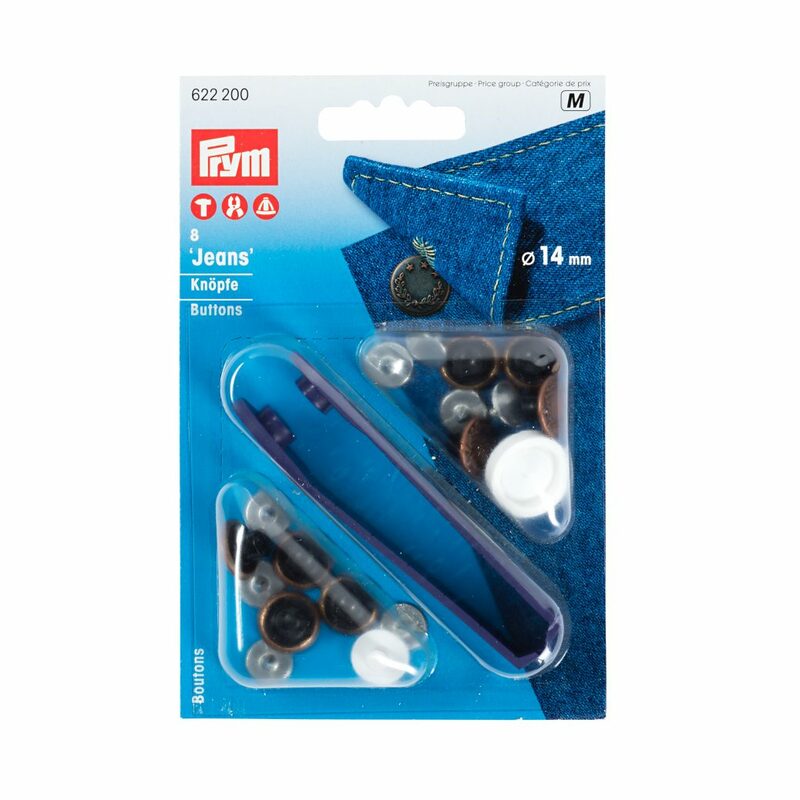 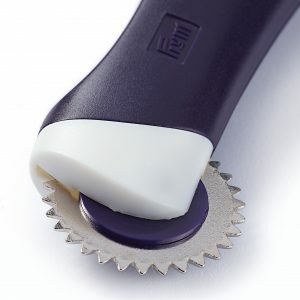 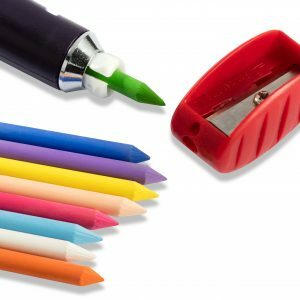 Can be attached to the garment using the tool supplied or can be used with the Prym Vario pliers. Perfect for finishing the Ginger jeans.